Wine is the star when it comes to drinking at a.kitchen, but the well-chosen lineup of brown spirits should not be overlooked. Most of it is fine whisky (from Springbank to Yamazaki), but it was the single brand of rum - El Dorado - that caught my eye, most notably for its age, in 15- and 21-year-old editions. 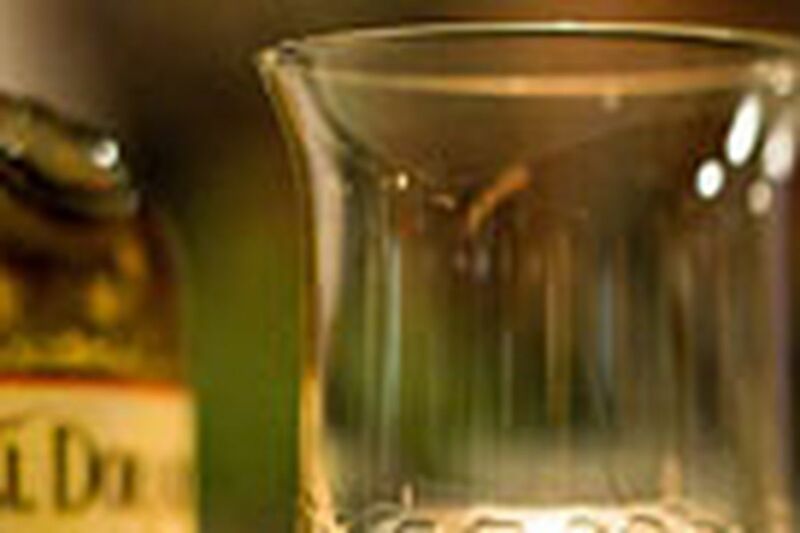 Old rums are rarer than old Scotch because of the Caribbean climate's accelerated evaporation. But when you sip these spirits from Demerara Distillers in Guyana, the possibilities unfurl on the tongue like a brooding high-seas romance. Deep copper brown and thick as it rolls around the snifter, these rums - distilled in antique wooden stills that favor heavy texture and vivid aromas - taste like dark coffee, nuts, vanilla, and tropical fruits, with a liveliness that defies their color. The 15 is a bargain for a bottle this complex, while the more intense 21 is worthy of an admiral's collection. El Dorado 15-year-old rum, $13 a glass at a.kitchen, or $34.99 a bottle online (code 30993) at www.finewineandgoodspirits.com. The 21-year-old, $27 a glass at a.kitchen, $92.99 a bottle online (code 30547).